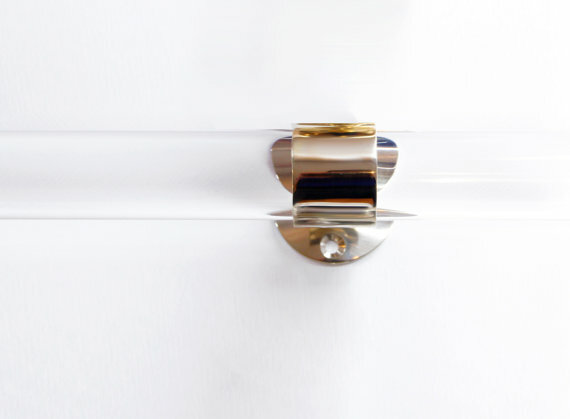 This little piece of gorgeousness is a lucite and polished brass curtain rod. Umm.. how fabulous. Umm.. why didn't I remember these during my curtain + hardware melt down?! You'll have to get some and then not tell me how amazing they are, ok?! Ok.